The combination of the potentials of the Group companies based in Tarnów, Puławy, Police and Kędzierzyn has not only helped to keep the key chemical plants in Polish hands, but has also generated numerous cost synergies. The consolidation process initiated seven years ago has yielded savings estimated at no less than PLN 710m. “The developments on the global chemical and fertilizer market show that combining potentials and consolidation is the only solution for this sector, as demonstrated by the multi-billion merger transactions carried out in recent years. Intragroup cooperation also pays off, bringing multiple benefits to the Polish economy, the Group, and to its individual members. The flourishing companies also make a positive difference for the towns and local communities in which they operate. Cooperation and coordination of activities have consolidated our position in Poland, which is the key market for our operations, and have generated savings of hundreds of millions of złotys that allow us to plan further joint investments, in line with the Group’s current strategy,” says Wojciech Wardacki, President of the Management Board of Grupa Azoty. The collaboration between the Grupa Azoty Group’s key companies in the procurement process generated additional saving of PLN 465m in 2011–2017 (until Q3 2017), coming mainly from lower prices of strategic feedstocks and raw materials. Higher gas volumes purchased on arm’s length terms, centralised gas supply management, and economies of scale have produced the largest savings for Grupa Azoty Puławy (more than 70% of savings generated in procurement). Synergies relating to production and maintenance shutdowns led to PLN 170m in additional financial benefits. The Grupa Azoty Group has harmonised and aligned its maintenance shutdown policy with best practice and implemented more efficient management of repair and maintenance service providers. The largest beneficiaries of those efforts were the companies based in Tarnów and Police, each accounting for over 30% of savings in this area. The Group-wide consolidation of logistics, including rolling stock optimisation, management of handling equipment, and consolidation of railway siding operators have generated PLN 69m in savings at the Group level, with the Tarnów-based company reaping almost a half of the benefits. The IT consolidation measures supported projects carried out across all areas of the Group’s business, with positive financial effects. The deployment of a common corporate IT and application environment, as well as upgrades of IT infrastructure, which streamlined team communication and collaboration, resulted in PLN 6m savings. This business area represents significant potential for more savings in the future. The ongoing consolidation has also significantly driven EBITDA growth and helped stabilise margins, making the Group’s business more predictable. The improved financial performance has increased the Group companies’ borrowing capacity. In addition, a reduction of finance costs was achieved. “The savings brought by the consolidation are as important as the fact that the Grupa Azoty Group will continue to be owned by the state, which will be conducive to investments in Polish, nationwide projects, enhancing the competitiveness of Poland’s economy. In addition to nationwide projects, the Grupa Azoty Group also facilitates and promotes initiatives which are vital for individual towns and regions and their inhabitants. Each Group company implements and will continue to implement in the future investment, CSR as well as sports and culture sponsorship projects. We consider it our duty and our approach will not change,” says Wojciech Wardacki. A strong and consolidated Grupa Azoty Group can also significantly support the development of innovative solutions. The Group is always looking for new solutions, and cooperation enables the creation of a base for developing research, development and innovation in Poland. The establishment and development of Research and Development Centres in Tarnów and Kędzierzyn as well as the Competence Centre in Puławy are a case in point here. 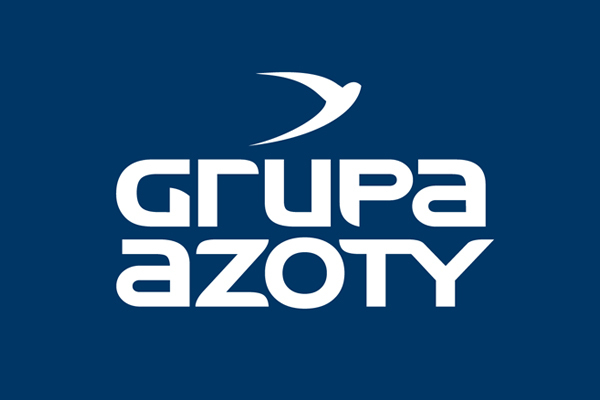 The Grupa Azoty Group is Poland’s largest chemical group and one of the leading players on the European fertilizer and chemical markets. It is the second largest EU-based manufacturer of nitrogen and compound fertilizers, and its other products, including melamine, caprolactam, polyamide, oxo alcohols and titanium white, enjoy an equally strong standing in the chemical sector, with a wide range of applications in various industries. In May 2017, the Group unveiled its updated strategy until 2020. The key development areas cover finalising the Group’s consolidation, reinforcing leadership in agricultural solutions in Europe, strengthening the second operating pillar through expansion of the non-fertilizer business, and generating and implementing innovations to accelerate growth in the chemical sector.